The Egyptian Parliament's passing of a new draft law to immune senior military officers from any future prosecution for crimes they might have committed is extremely alarming, warns the Euro-Mediterranean Human Rights Monitor. The new draft law known as the “Law Governing the Treatment of Certain Senior Commanders of the Armed Forces” also gives diplomatic and ministerial privileges to immuned officer, thus exempting them from possible future accountability, except by the Supreme Council of the Armed Forces, exploiting rights and leaving victims without redress. The new law, which was passed on Monday 16 July 2018, prohibits any future prosecution of high-ranking officials in the army -- to be named by the Egyptian President Abdel-Fattah el-Sissi -- for the crimes they have committed in the period from July 2013 until January 2016, with prior approval by the Supreme Council of the Armed Forces. Under the same law, such officers will be treated as ministers, thus granting them diplomatic immunity, including during their travel abroad, as well as the possibility of being called up for life service in the military apparatus of the State. 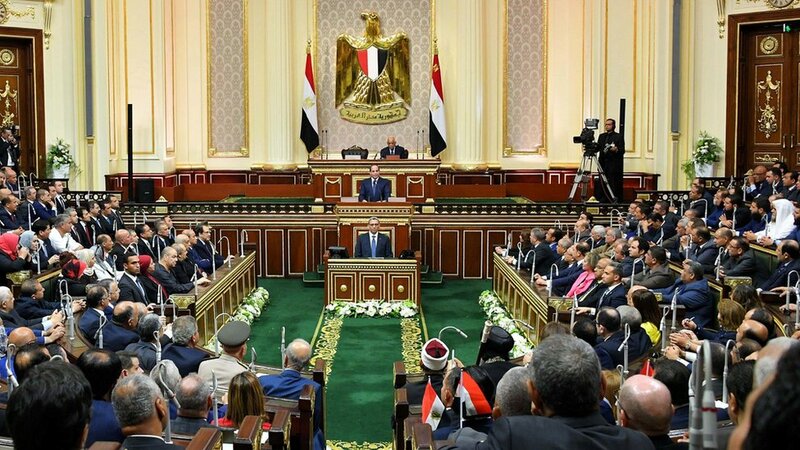 Adopting this law would entrench the policy of impunity in Egypt for any crimes, including those relating to serious crimes under international law, such as crimes against humanity. It also means giving light for more crimes to be committed, therefore violating the rights and fundamental freedoms of civilians, including peaceful opponents while paralyzing the judiciary, except for the Supreme Council of the Armed Forces. This diplomatic and judicial immunity will prevent any other State from holding accountable the perpetrators of these crimes or of any other serious violations of human rights. Such a politicized amnesty also means that the State has absolved itself from its responsibilities under international law -- holding perpetrators accountable and bringing justice to victims and their families, which constitutes a stark violation of the legal standards, said Mira Bishara, Euro-Med’s legal researcher. Furthermore, the draft law is contrary to the Egyptian Constitution itself, under which Egyptian citizens are equal before the law and all have judicial remedies, added Bishara. The Euro-Mediterranean Human Rights Monitor calls on the Egyptian President Mr. el-Sissi, not to endorse this law, which encourages the policy of impunity in the country. Euro-Med Monitor further calls on the Egyptian Government to stand up to its responsibilities in accordance with international laws and norms and to hold those responsible for serious crimes committed against civilians to account.